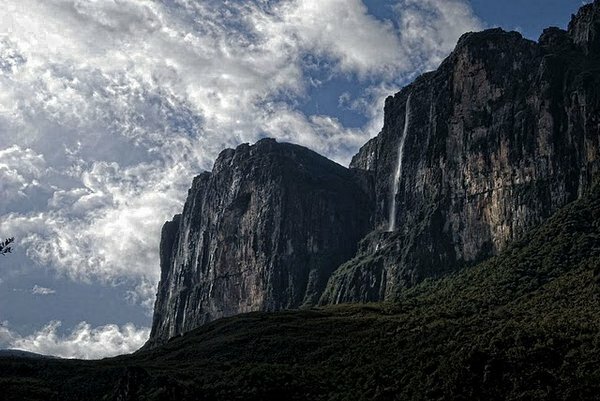 Deep within the heart of Venezuela’s dark and mysterious jungle lie islands, not islands that have coconut laden palm trees swaying in the warm summer breeze or crystaline blue water lapping backwards and forwards onto white sandy beaches, but isolated islands of sandstone forgotten by time. 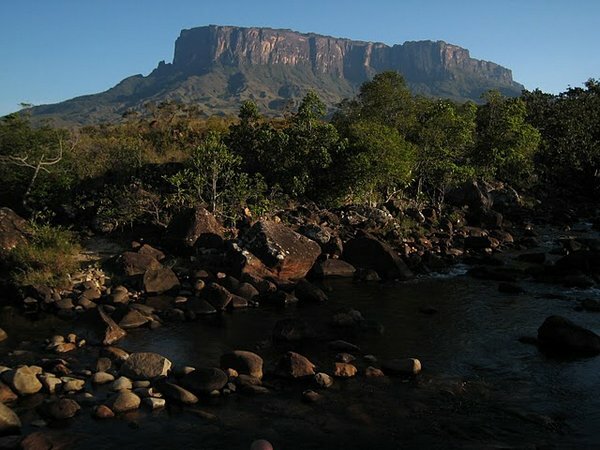 The majestic Mount Roraima is the highest mountain in the Pacaraima Mountains. 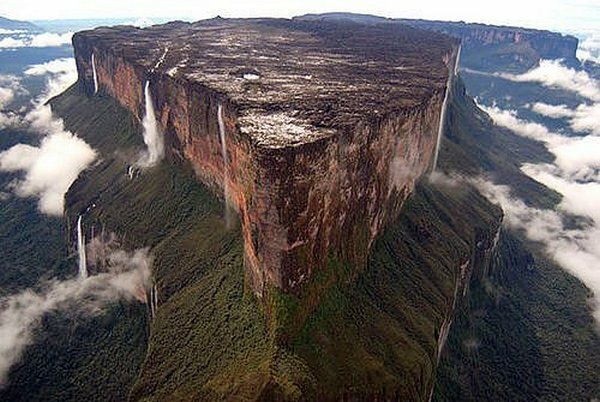 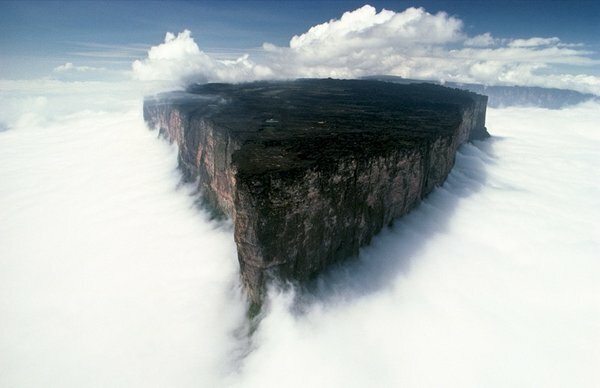 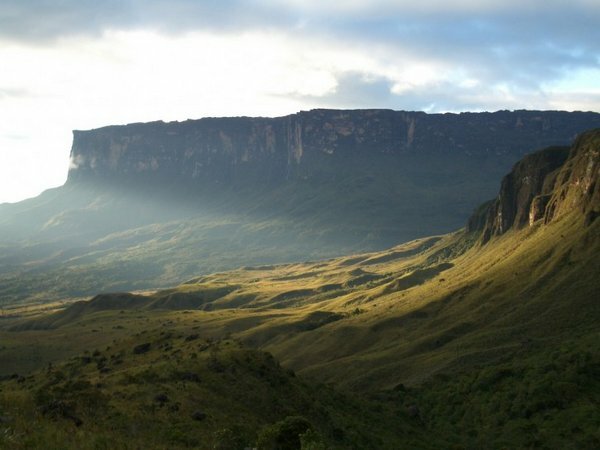 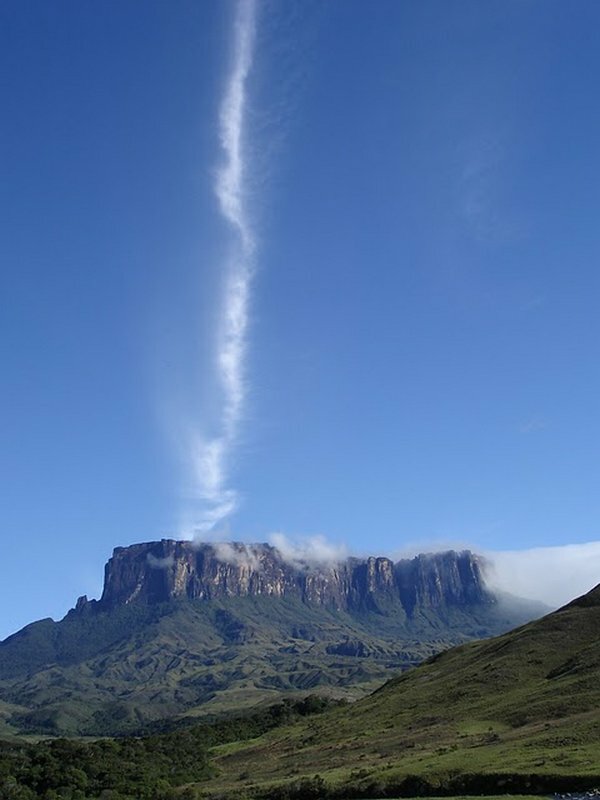 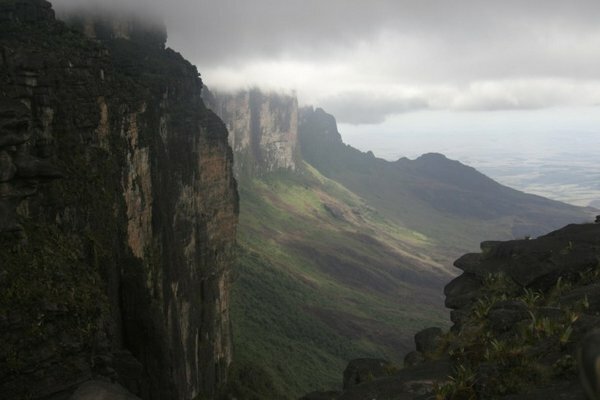 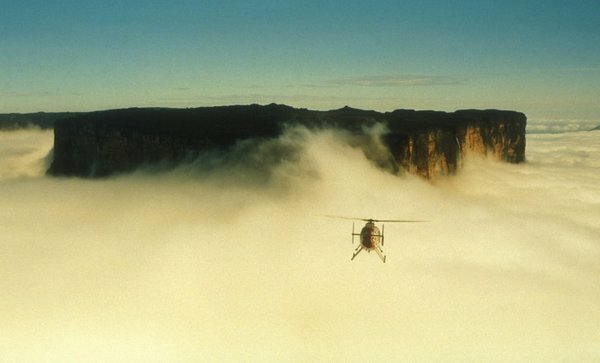 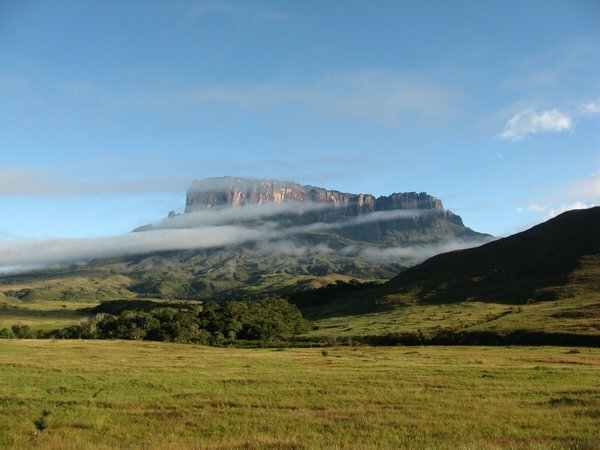 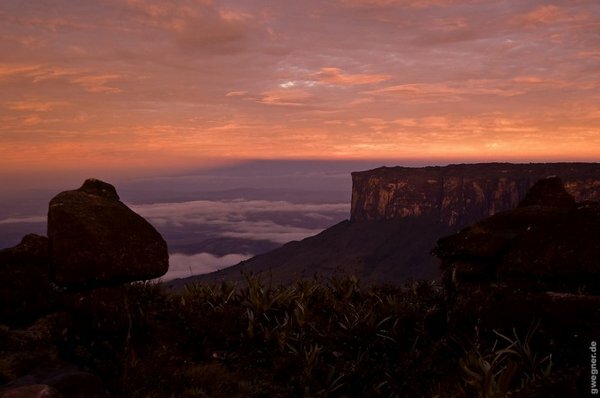 Roraima lies on the three borders of Venezuela, Brazil, and Guyana. 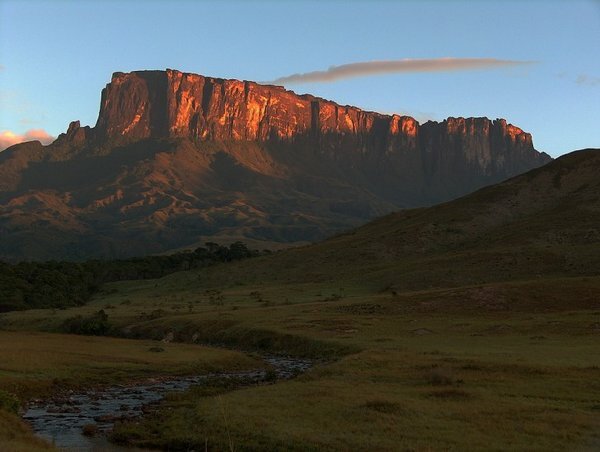 The mountain is part of Venezuela’s Canaima National Park, a UNESCO World Heritage Site. 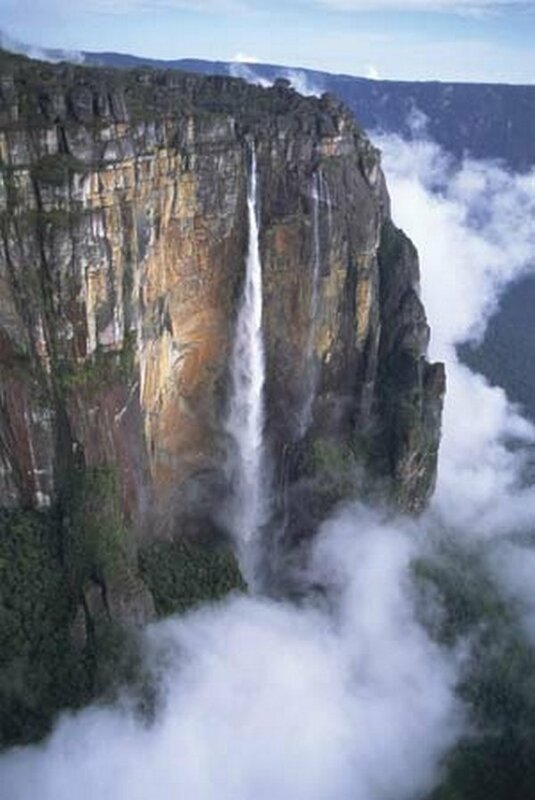 Angels Falls is also part of this beautiful park. 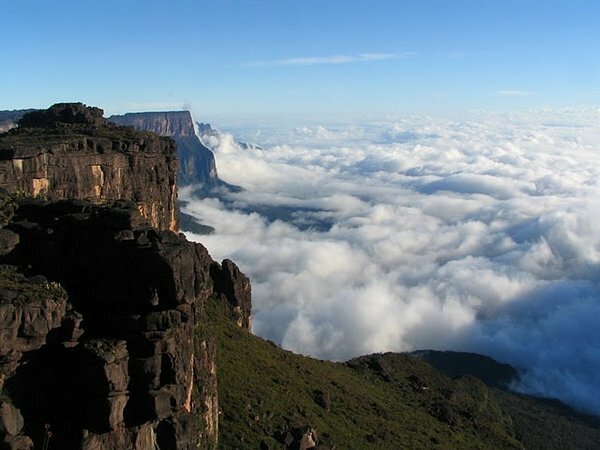 Mount Roraima’s highest point is Maverick Rock at 2,810 meters (9,219 feet), and the whole of Mount Roraima’s fairly flat top surface area is surrounded by 400+ meter (1,312+ feet) high sheer cliffs. 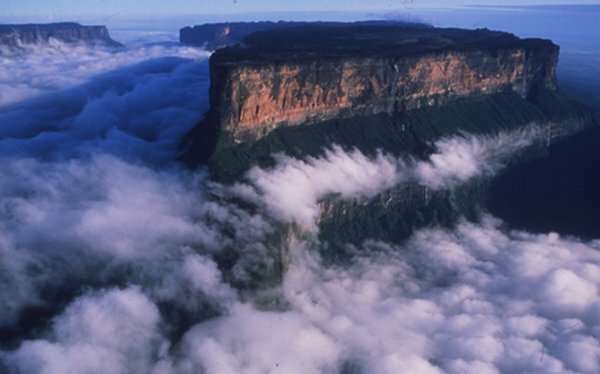 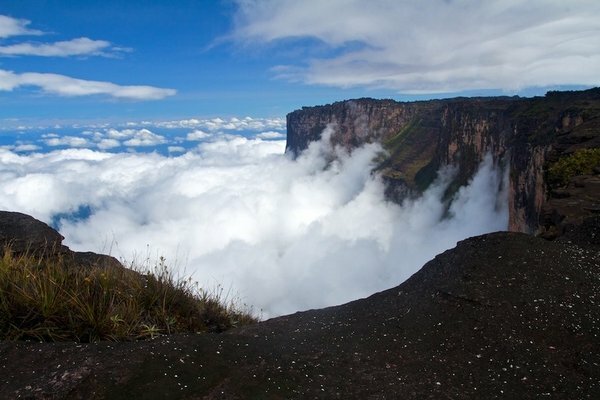 Mount Roraima can be climbed, though all routes besides the Paraitepui route require technical climbing gear. 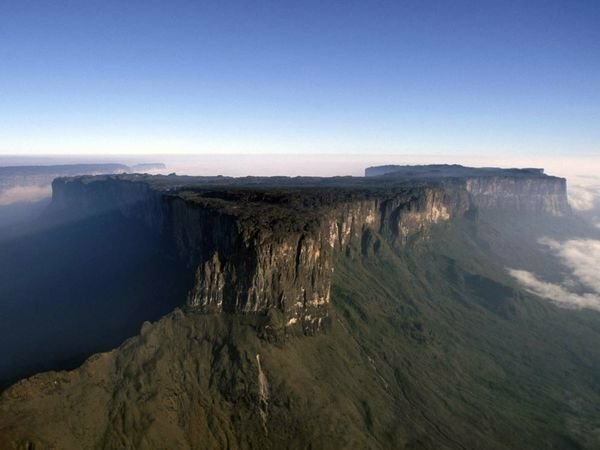 Visitors can get a stunning view of Mount Roraima and the greater Canaima National Park from a memorable helicopter ride.